Doug Oliver moves piles of compost around at the Pitkin County landfill with a bulldozer Nov. 27. 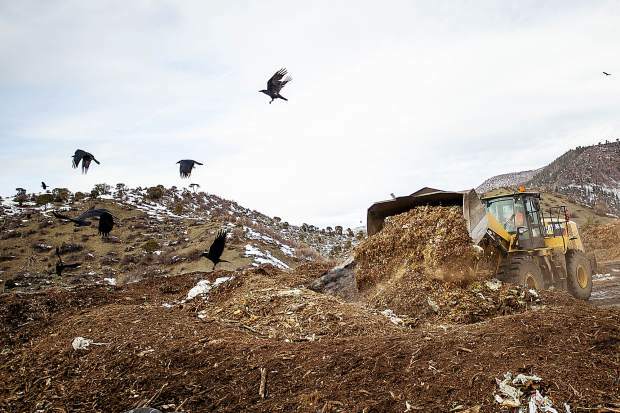 While the city of Glenwood Springs is considering eliminating its composting operation, a similar program in the upper Roaring Fork Valley is thriving. Aspen and Pitkin County’s compost program — which has been embraced by businesses and residents alike — is the mirror image of its Glenwood Springs cousin. In fact, the Pitkin County Landfill turned a profit of $370,925 in 2017 from its composting operation, which sells composted byproducts such as soil, according to numbers provided by Cathy Hall, landfill director. The Glenwood Springs City Council voted in November to heed the advice of its staff and a consulting firm and take over operation of the South Canyon Landfill from a contractor. One of the recommendations of the consulting firm was to eliminate the composting operation, which loses more than $329,000 a year. Pitkin County composted 14,000 tons of material in 2017, which was diverted from its rapidly filling landfill off Highway 82, Mauro said. The composting numbers for 2018 are not yet available, though Mauro said she expects they will be about 10 percent higher than 2017’s. The volume has been enough to prompt officials to expand the 3-acre composting operation to 6 acres next year, doubling the facility’s capacity, she said. Until early this year, officials expected Pitkin County’s Landfill would last only until 2031. However, a southern section of the facility’s property was identified last spring as an expansion area capable of extending its life more than 40 years, though that expansion must be permitted by the state first. One of the prime drivers behind the success of the Pitkin County’s composting program was the implementation of the SCRAPS program in 2015, Hall said. 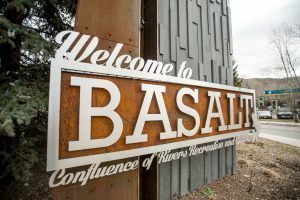 The joint city of Aspen-Pitkin County Landfill program was partially funded by a $200,000 grant from the state, which allowed the purchase of bearproof bins placed in certain locations around the city — for example, the Hunter Creek Apartments — where compost can be deposited for later pickup by a waste hauler, she said. Aspen residents can pick up free compost buckets at City Hall, while county residents can pick them up at the landfill. Residents and businesses must then pay one of two local waste haulers to pick up the compost. 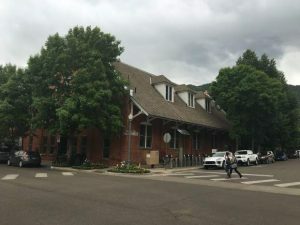 And while Aspen and the upper Roaring Fork Valley tend to have environmentally conscious residents, Hall said another aspect of Pitkin County’s program helped promote the program to businesses especially. The landfill charges $86 a ton for regular landfill trash, compared with $15 a ton for compostable material, she said. “Some of these businesses were able to reduce their trash bills significantly,” Hall said. 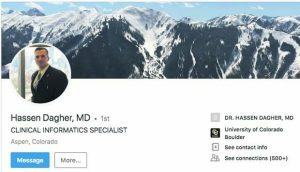 City Markets in Aspen, throughout the Roaring Fork Valley and the Interstate 70 corridor began composting in January as part of the Kroger grocery company’s “Zero Hunger-Zero Waste” initiative, said John Hailey, Aspen store manager. Aspen’s store fills a commercial-sized dumpster with compostable material three times a week that goes to the landfill’s composting program, he said. “We’re big time,” Hailey said. When the program began in the spring, City Markets in the valley as well as Rifle, New Castle, Vail, Avon and Eagle were composting 30,000 pounds every week, the representative of one of the waste haulers said at the time. Aspen Skiing Co. also has embraced the composting concept, said Matt Hamilton, the company’s sustainability director. The company is in the process of figuring out how to sort, collect and transport compostable material from all of its restaurants and properties, he said. In addition, the company’s goal is to use only compostable disposable flatware, plates and cups at its on-mountain restaurants, Hamilton said. “Everyone in the food and beverage division … is super-committed (to the program),” he said. Hamilton said he also composts at home and was initially surprised to discover how it affected the amount of trash his family of four now throws away.